PKPR is managing publicity for the 2009 River to River Festival, New York’s largest free summer arts Festival with music, dance and cultural events from June through mid-August. Wow. That’s all we can say. The entire top half of today’s New York Times arts section features a beautiful photo of STREB performing at the River To River Festival. 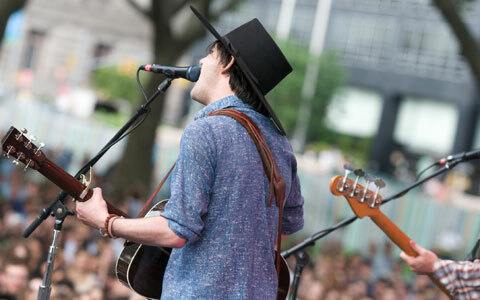 Putting a spotlight on artists whose work is synonymous with New York City, The 10th Annual River To River� Festival unveiled a stellar line-up of completely free events that includes Patti Smith, Rufus Wainwright, Laurie Anderson, STREB, Sean Lennon and a tribute to The Bottom Line. As it marks its tenth season, the festival is evolving from a summer-long series of diverse events to a more ambitious, densely packed, month-long festival showcasing a curated roster of New York icons as well as world-class artists. Reflecting this vision, this summer will see the debut of several new flagship events including: Extraordinary Moves, a weeklong celebration of dance at the World Financial Center; a production of Shakespeare�s Henry V performed in Battery Park and on Governor�s Island; and Come Out and Play, a series of participatory games that will activate the streets of Lower Manhattan. 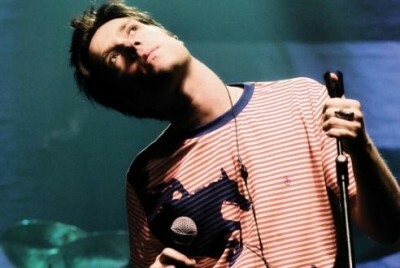 Preview coverage of the festival included the New York Times, Rolling Stone, New York Post, PaperMag, WNYC, Pitchfork, Paste Magazine, Village Voice, BrooklynVegan, New York Press, and NBC New York. 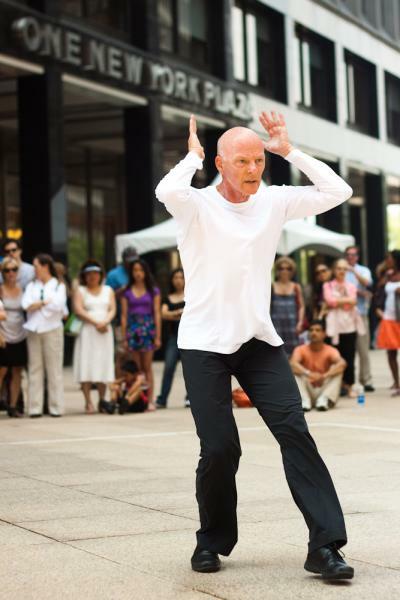 Acclaimed Canadian choreographer Paul-Andr� Fortier has captured New Yorkers’ imaginations with Solo 30 X 30, in which he is performing the same 30-minute dance for 30 consecutive days, rain or shine, at One New York Plaza. Part of The River To River Festival, the extraordinary event has become one of the most buzzed-about public art events of the summer, attracting coverage in almost every major NYC outlet, including reviews in the New York Times and Metro, profiles in Time Out New York, New York Press, This Week in New York, Capitol File, and DNA Info, and segments on WABC-TV, WNYC, NY1, and NBC New York. 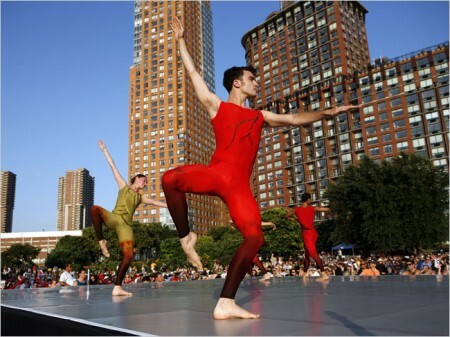 Just a few days after the death of their company�s namesake choreographer, dancers from the Merce Cunningham Dance Company gave a memorable performance as part of the 2009 River to River Festival, which drew more than 3,000 people to Battery Park City in Manhattan. Now, almost a year later, five choreographers paid their respects to Cunningham in a program titled �We Give Ourselves Away at Every Moment: An EVENT for Merce,� on July 26th. Lucinda Childs, Bill T. Jones, Susan Marshall, Jon Kinzel and Faye Driscoll presented new dances created for the occasion, as well as existing works inspired by Cunningham�s Events pieces. Reviews of the performance included The New York Times (and slide show), Wall Street Journal, Financial Times, and WNET Sunday Arts. 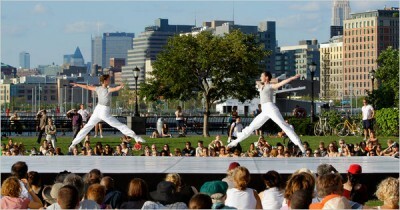 The highlight of the 2009 River To River Festival was undoubtedly the tribute to legendary choreographer Merce Cunningham. Thousands turned out on a beautiful New York summer afternoon to celebrate Cunningham who worked and lived in New York City for more than 70 years. Don’t miss the amazing reviews and photos in New York Times, ArtForum, New York Post, ArtForum, Time Out, Star Ledger, WNET, NY Press, and more. 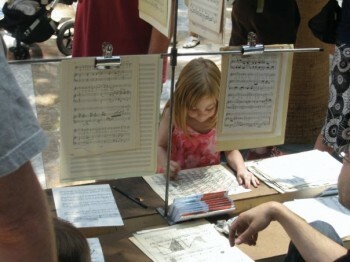 Part of The River To River Festival, The Big Draw is a daylong event that turned Lower Manhattan into a giant canvas through a series of hands-on drawing activities led by some of New York’s most innovative artists. More than 6,000 people attended the event thanks to coverage in numerous outlets including a segment on WNYC and feature on WNYC.org, live remotes on NY1, and previews in outlets ranging from PIX Morning News and Time Out New York to MommyPoppins.com and the New York Post. 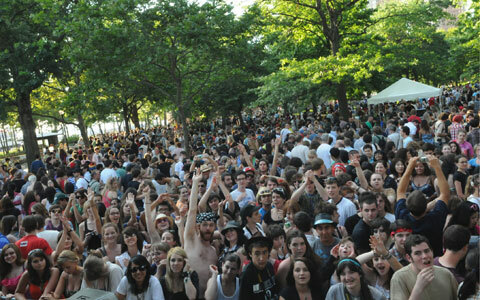 PKPR is proud to be handling publicity for River To River Festival, New York’s largest free summer arts festival. 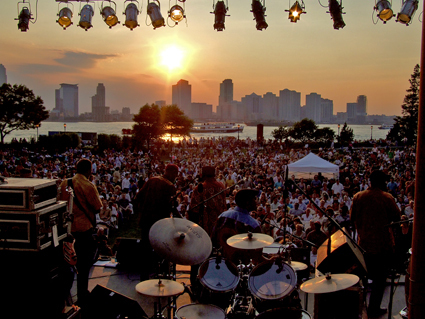 The 2009 Festival line-up, which the New York Times hailed as “one of the City’s most compelling summer series,” ranges from big names like Richie Havens, New York City Opera, and Merce Cunningham Dance Company to hotly tipped artists like Conor Oberst, Jenny Lewis, The Pains of Being Pure at Heart, and Anthony Gonzelez of M83. Preview coverage of this year’s festival has included the New York Times, New York Post (and this one, too), New York Daily News, New York Magazine, Miami Herald, NME, and Philadelphia Inquirer.